This Indigenous People’s Day weekend retreat focuses on the traditions of the “psychonauts,” explorers of the subtle realms of dream, death, and all “between” states. Such people are known as “shamans” in indigenous traditions and as “siddhas” or “adepts” in Buddhist and Hindu Tantric traditions. Isa and Bob will explore the vast dimensions of these traditions, reviewing historic encounters between the two in world indigenous and Indic regions and learn how they have informed one another from time immemorial. Steeped in philosophy and psychology, this retreat is also experiential in nature: we will explore methods of going inward drawn from both traditions, including the Shamanic Journey and Indo-Tibetan Deity Meditation. Participants will study, meditate, dialogue together, and create and perform ceremony in order to align ourselves with the power that these two traditions have provided humanity for millennia. Daily yoga and free time for spa treatments and hiking will also be offered. • Introduce you to shamanism in a safe and supportive environment. • Introduce you to the wisdom paths in the Siddhic traditions. • Offer training in techniques that purify and open your mind and heart. • Help you deepen your meditation practice. • Introduce you to the role of ceremony and ritual in both of these traditions. • Help you apply insights from the shamanic and Siddhic traditions to your everyday life. Tuition varies based on accommodations. Additional information and registration available at menla.org. "I found my experience at Menla with you truly enriching!" 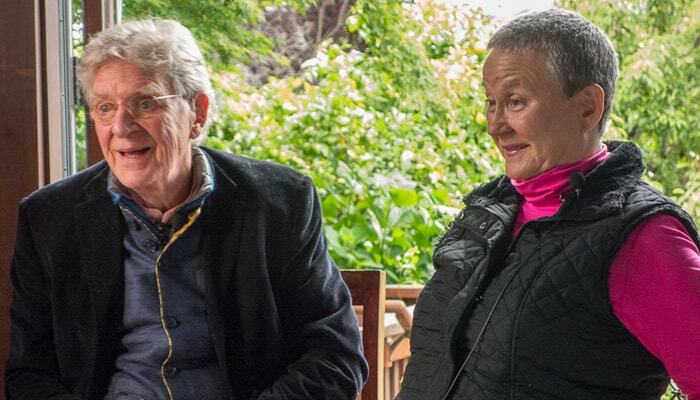 "Isa Gucciardi and Robert Thurman are humane and powerful teachers, they complement each other beautifully, and their teachings are profound. I am so grateful!"